A couple of weeks ago, Mike and I took a quick weekend road trip to Seattle. Seattle is the perfect little getaway for us, but the truth is that we think of it as a drive-by kinda city on our way to other destinations. But, this time we took the time to chill out in the city for two nights and we discovered a whole new part to wander around in (Alki Beach) as well as a new cookie to fall in love with. We went for brunch at a hipster neighborhood restaurant and on the same street there was a cute little robin blue egg cookie and ice cream store. I got a ginger cookie (I LOVE ginger cookies) and drooled over the rest of the cookies, including something they called a Mackles’more, a chocolate chip marshmallow cookie topped off with a square of chocolate, baked onto a graham cracker. I was into it, but, we had just finished brunch and I only had room for one cookie, so we left poor mackles’more behind. But, I couldn’t stop thinking about it. The only thing that I wasn’t digging was the name. I know Macklemore (the rapper of Thrift Shop fame) is from Seattle, but since Mike and I pretty much decided then and there that I was going to recreate the cookie, I wanted to rename it. I couldn’t think of anything and kept pestering Mike about what would be a good pun (he’s excellent at punning) when he came up with s’more life! Which, is absolute perfection because I’m low-key obsessed with Drake. 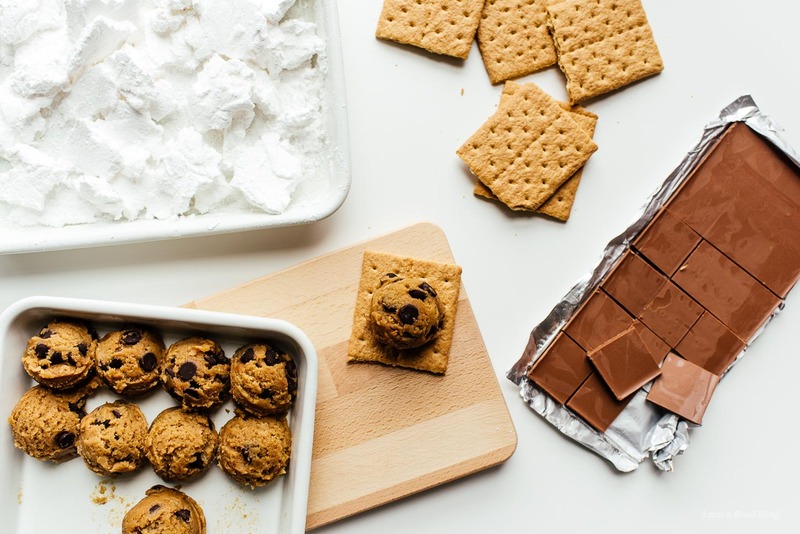 Plus, who wouldn’t want s’more life, s’more everything?! 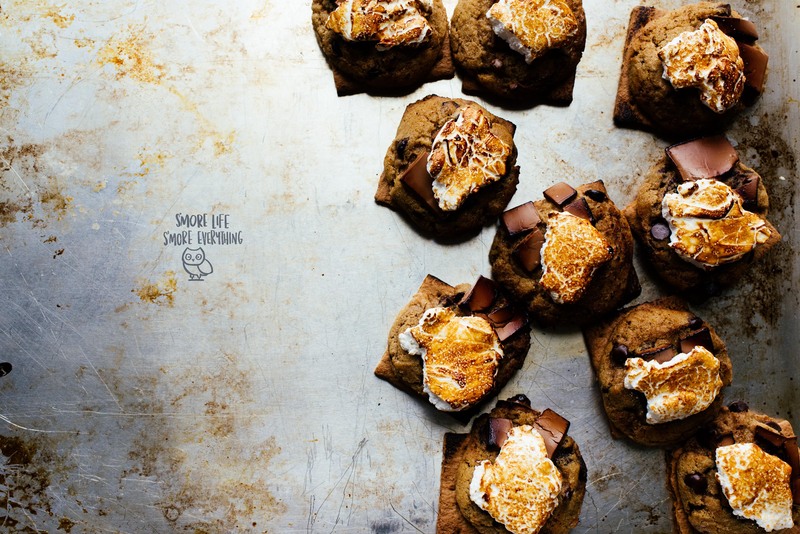 Ok, I’m going to stop with the Drake references, but seriously, make these cookies, you won’t be disappointed. 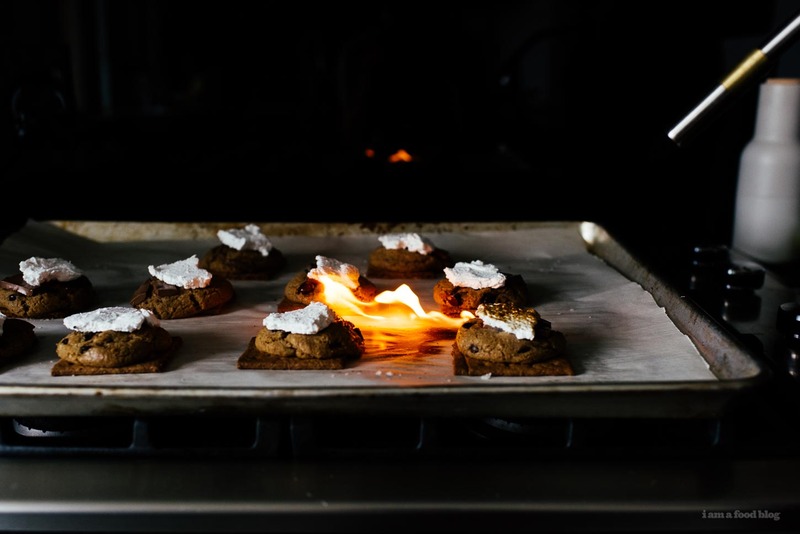 But, if you do and decide to use your kitchen torch, don’t forget that parchment paper is flammable. We not-so-narrowly avoided a little kitchen fire. It was worth it though, those torched marshmallows brought me right back to all those cozy campfire feels. campfire and s’more life, s’more everything! I used a new chocolate chip cookie recipe that I’m really excited about but haven’t gotten around to posting. 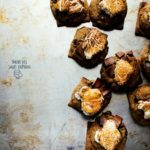 You can use your favorite cookie recipe, or if you’re feeling a time crunch, those rolls of cookies in the fridge section at the grocery store always work in a pinch! I whipped up a batch of marshmallows (these ones, sans peppermint) but store bought marshmallows will work just as well or better. 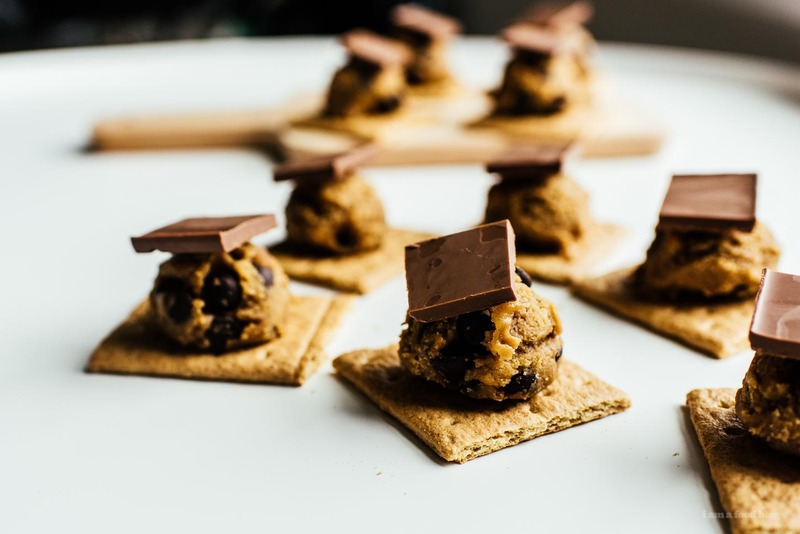 Arrange chocolate chip cookie dough on top of graham crackers. Press in a square of chocolate and half a marshmallow. 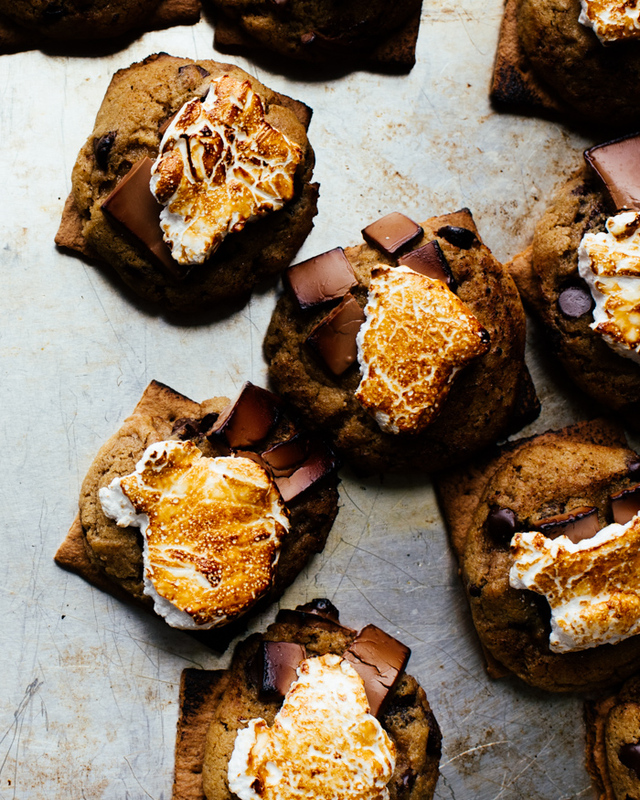 Bake for 10-12 minutes, or until the cookie and marshmallow are golden. 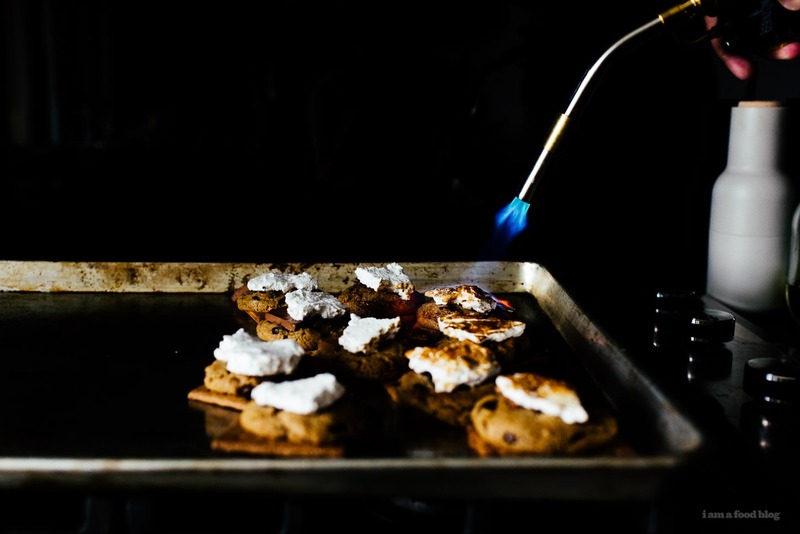 Alternatively, bake the cookies without the marshmallows, remove from the oven, add the marshmallows on top, and torch with a kitchen torch for that campfire kissed look. 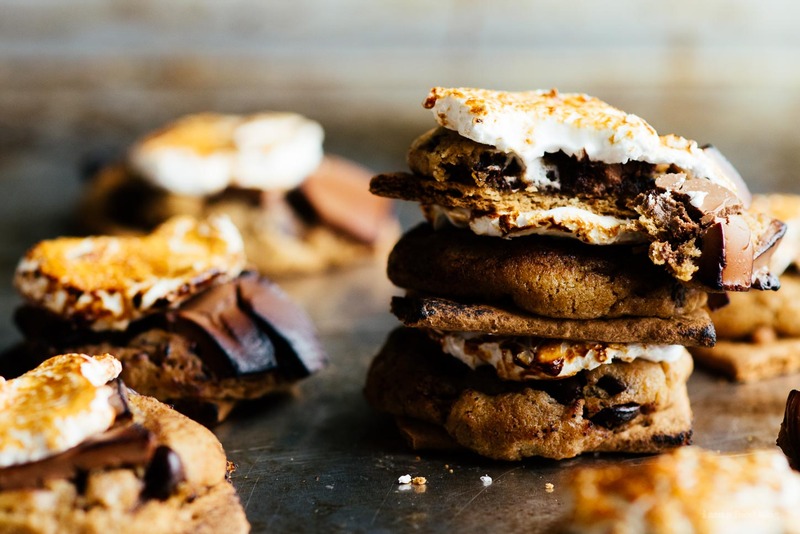 oooh, s’mores + chocolate chip cookies?! i’m down. and i think mackles’more is pretty great, though s’more life works too :3 delicious either way! Innovative idea! I love that there are so many different flavors and textures. Every bite tastes a little different! I’m a big fan of Seattle. Must go back and visit Tallulah’s and that bakery! yeah! it was a cute neighborhood :) the bakery was hello robin! Oh dear – this looks AMAZING! So super simple that I might need to make a batch up for my camping trip this weekend right now. Also, that owl and s’mores slogan? I might need that on a t-shirt.